DISCLOSURE: As a member of the Generation Good Community, I received free products in order to throw a Healthy Baby Home Party. All opinions are my own. 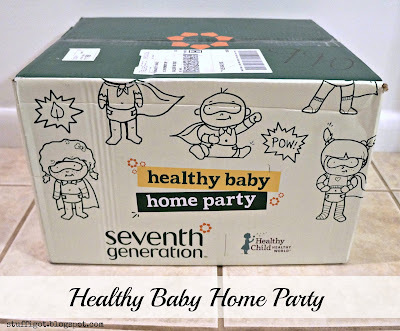 Seventh Generation has been working with Healthy Child Healthy World since 2009 to give parents a way to educate friends and family on how to create a healthy environment for their children through their Healthy Baby Home Parties. In addition to learning how to have a healthy home, guests are asked to join Seventh Generation in signing a petition to ask legislators in Albany, NY to pass the Child Safe Products Act. 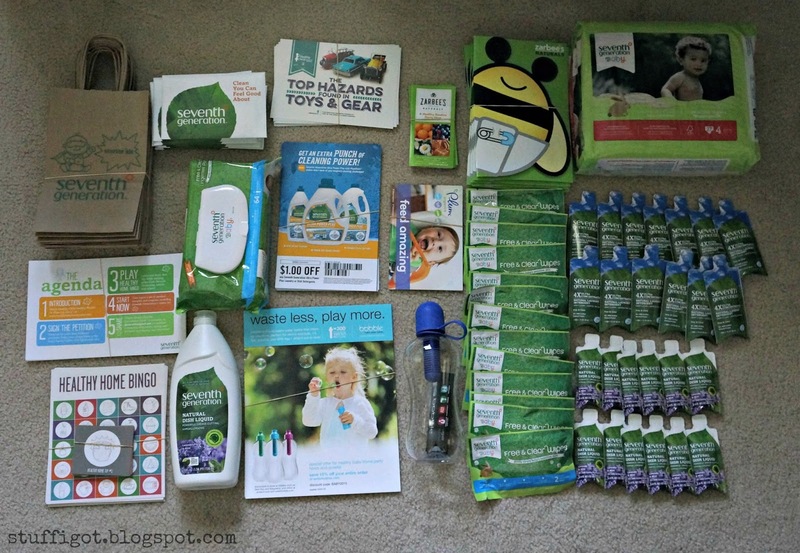 This will help get toxins out of our kids' hands. 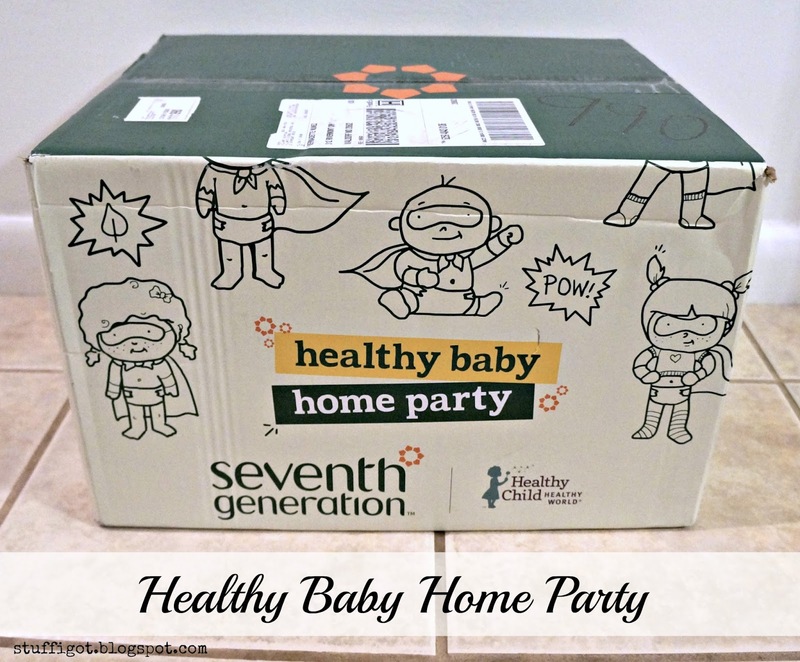 I was fortunate to be selected as a host this year to host a Healthy Baby Home Party. 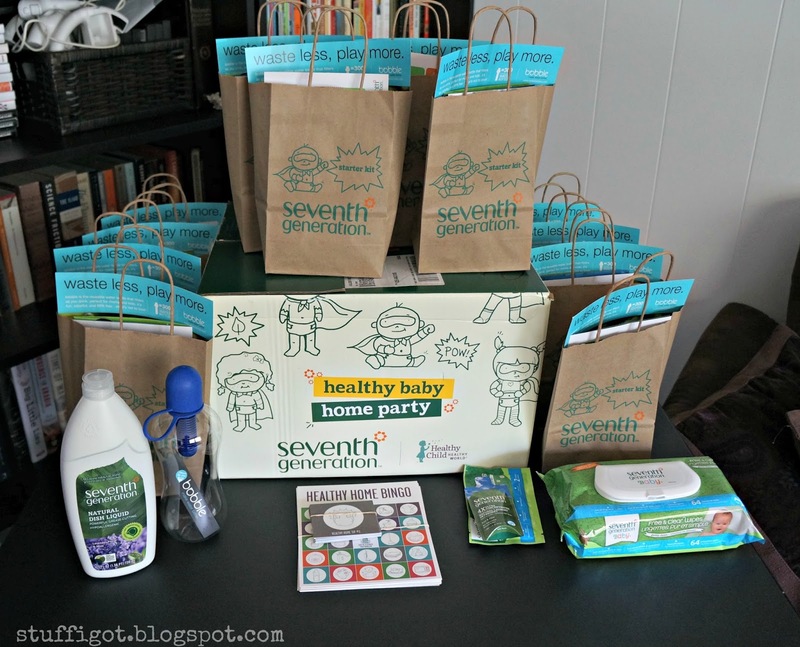 Hosts were sent party kits that included full-sized and sample-sized products from Seventh Generation, Zarbees and Bobble. 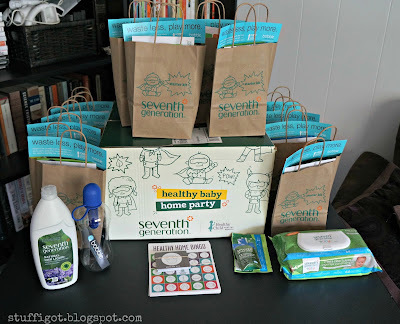 For the party, I filled the included favor bags with coupons and samples of Seventh Generation wipes, laundry detergent, dish detergent and Zarbee's Naturals Baby Vitamins. 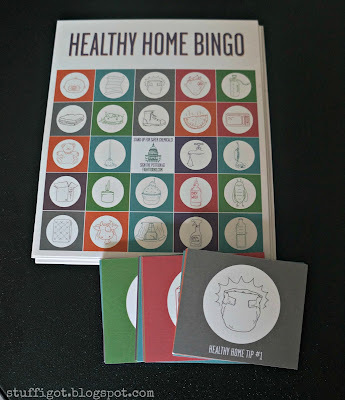 I set out the full sized items as prizes for the Healthy Home Bingo game. 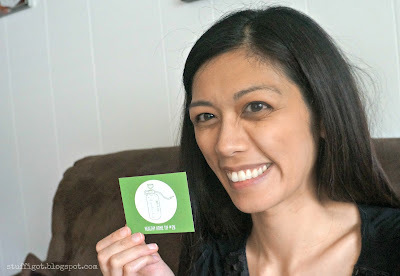 Next, it was time to sign the petition at fighttoxins.com. Because we didn't live in New York, we couldn't actually sign the petition. Instead, guests were encouraged to share on social media and to email their friends in New York to sign the petition. 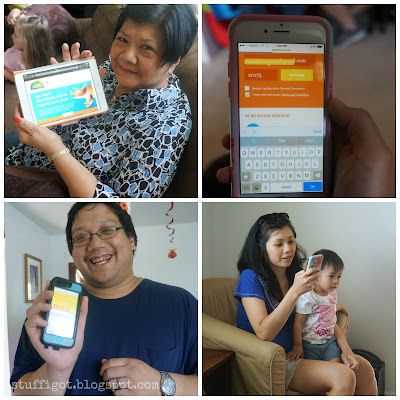 Then, we played Healthy Home Bingo. 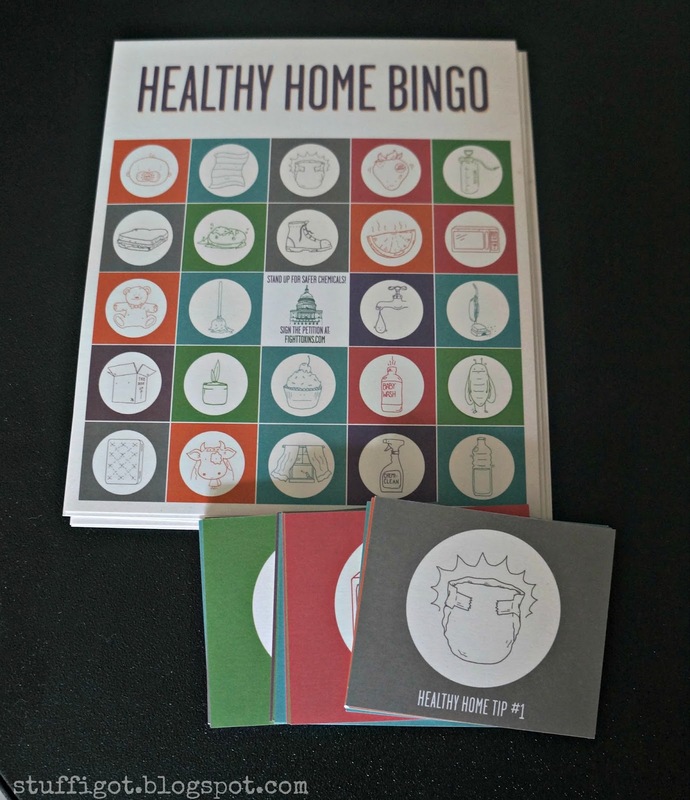 Each Bingo card had images that represented helpful tips on how to create a healthy home. Some tips we knew about, such as having guests remove their shoes when they come in the house. 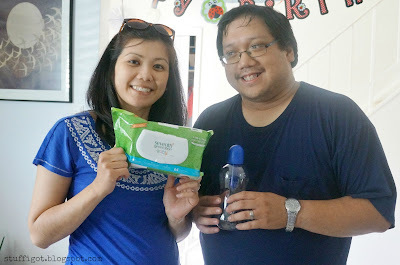 Other tips were new and somewhat surprising, like using a spray made of natural soap and water to prevent ants and fleas from entering the house. Winners could choose from the full sized items that came in the party kit. 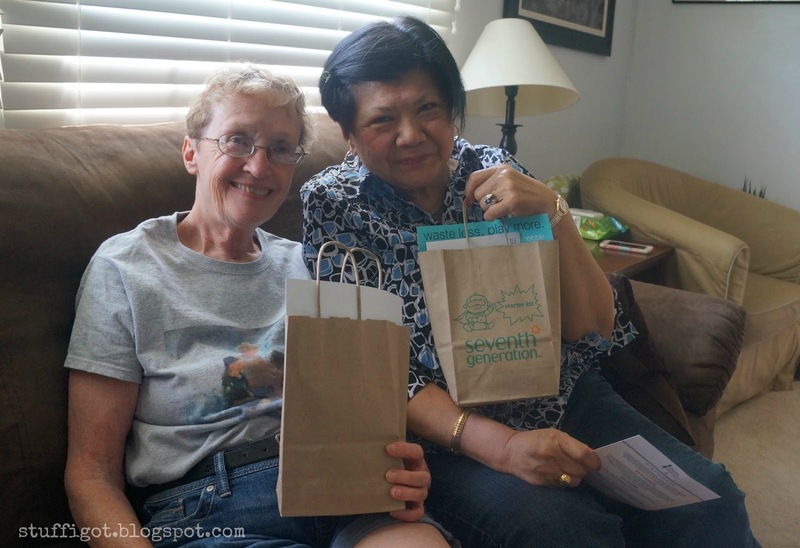 Everyone got to take home a favor bag with the samples and coupons. The party was a lot of fun and everyone learned new ways to keep their homes toxin free!